So you need to move your website to another server. This happens quite often, especially if you are using PBNs and you own a couple of servers. 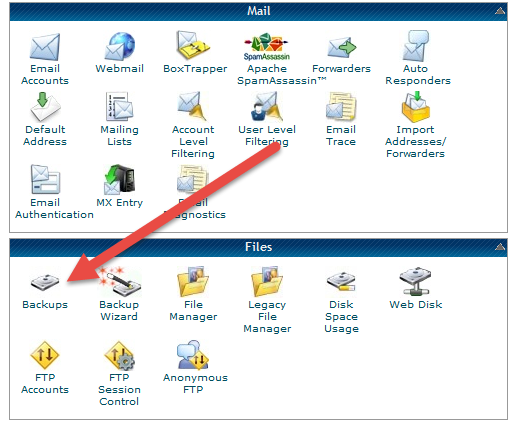 The easiest and probably the quickest method is to simply use the cPanel backup feature if your old and new host operates on cPanel. 2. 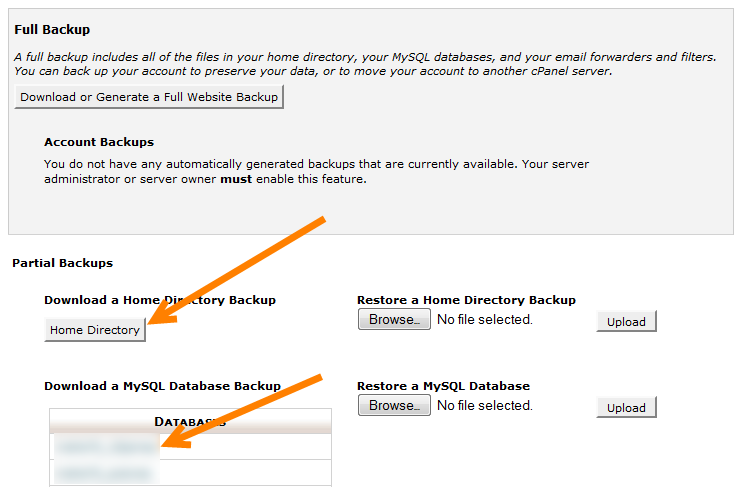 Backup your home directory and selected database and also email forwarders if you have any. 3. Now navigate to your new server, go to backups and simply restore home directory and database by uploading previously downloaded files. 4. 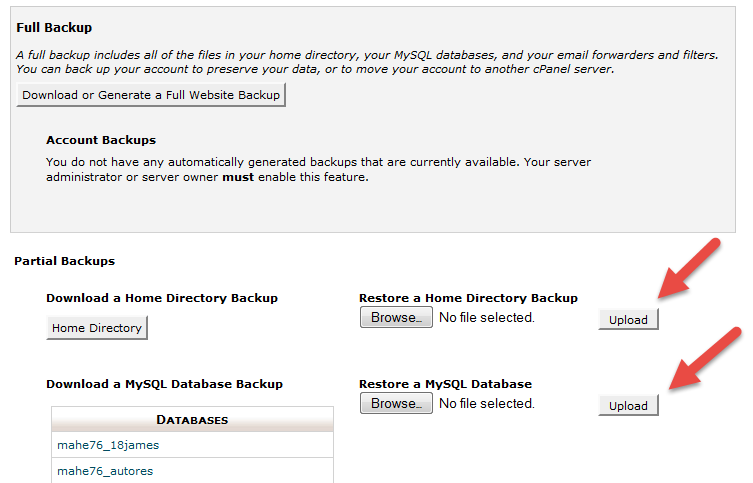 Now you need to go to Databases > MySQL Databases and create a user. You will have to take a peak into your wp-config.php file and copy the username and password. Then in the new cPanel create exactly the same user with the exact same password. 5. In this last step add your new user to the imported database by selecting the correct names and click “Add”. Then select “all privileges” and click “make changes”. That’s it. Your site on the new server should be up once you upgrade your nameservers. You can easily accomplish pretty much the same with using a plugin. There are a couple of plugins that can do the job pretty well. However, this method might not work if you have a large website with lots of multimedia files on it. 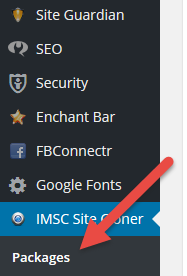 For his method I will be using IMSC Cloner Plugin. 1. 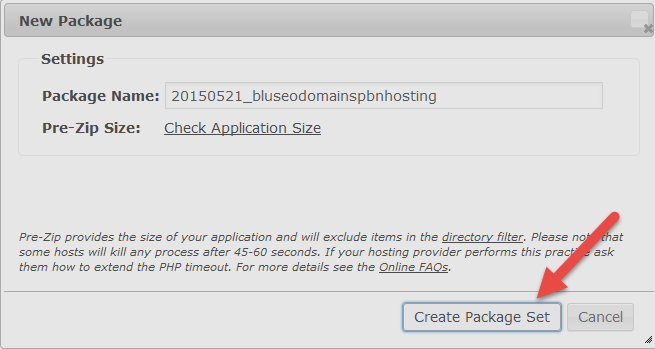 Install your cloner plugin and navigate to “packages” menu. 2. Next click on “create new package”, press tab button 4 times to navigate to “create package set” button and press enter. 3. The plugin will go to work and create two files for you. Once it is done, it will create two files for you: installer.php and package.zip. 4. Download both of these files by clicking the buttons shown above and upload them to your new account via cPanel’s file manager. 5. Next you will need to create a new user and database. The video below will guide you through the rest of the process.